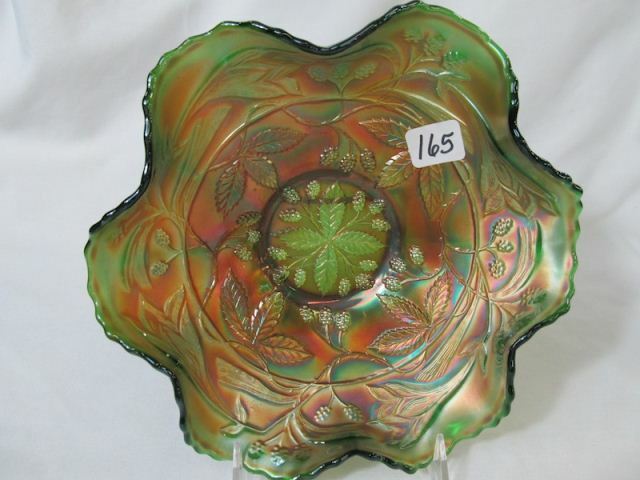 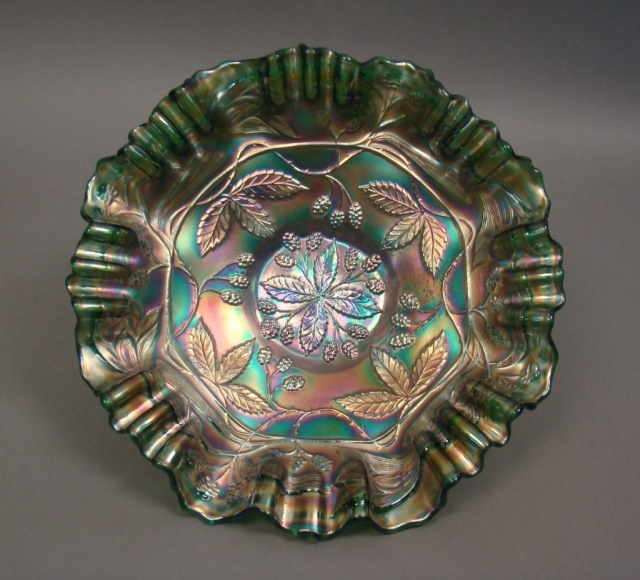 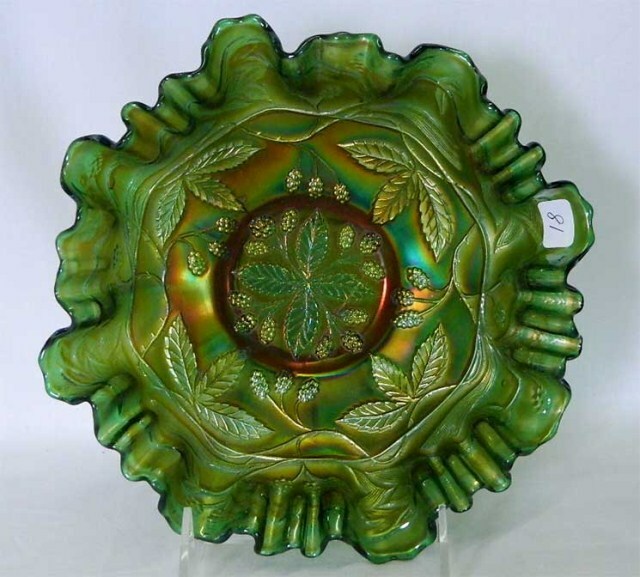 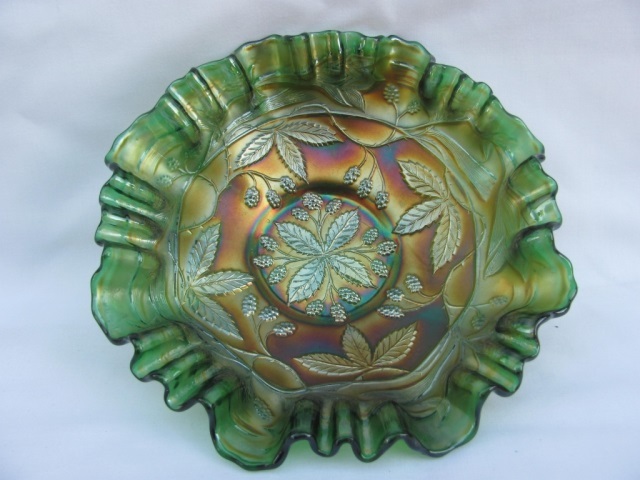 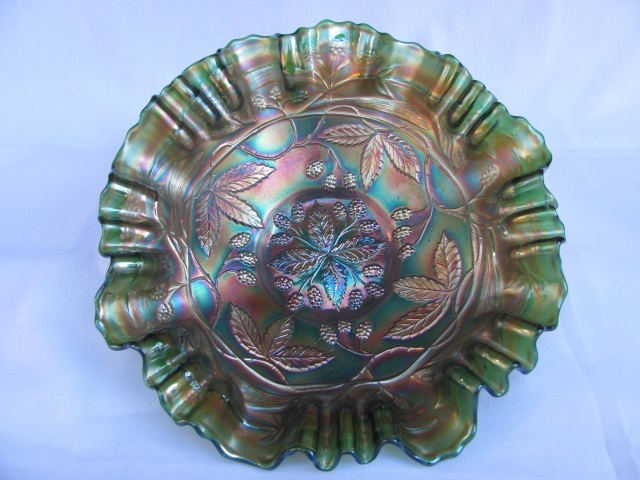 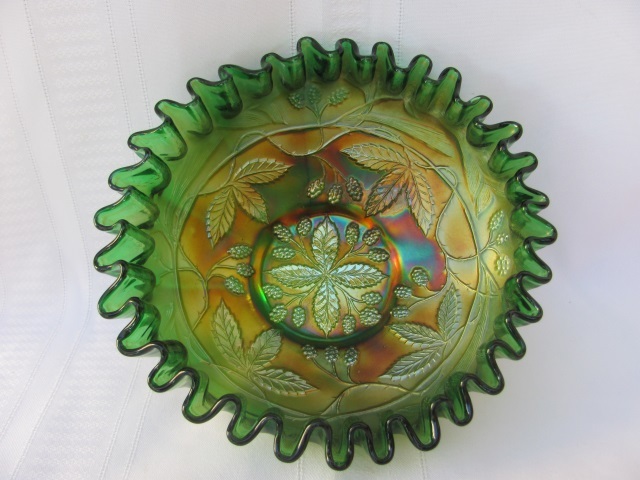 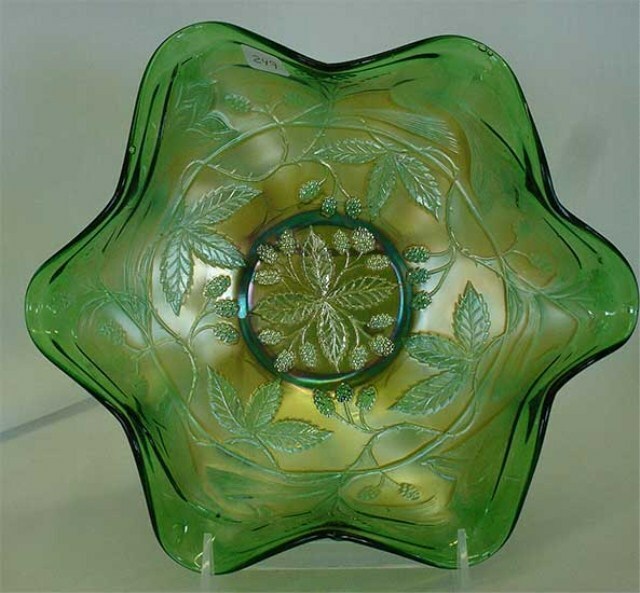 Found in ruffled, three-in-one and candy ribbon edges, mostly in green bowls. 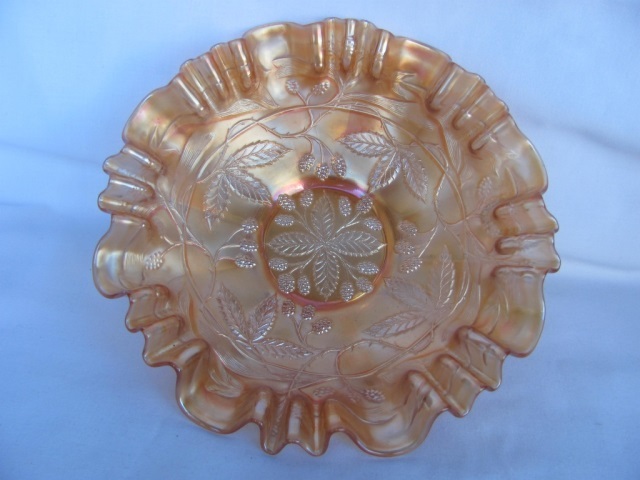 It was also used as an advertising piece with “H. 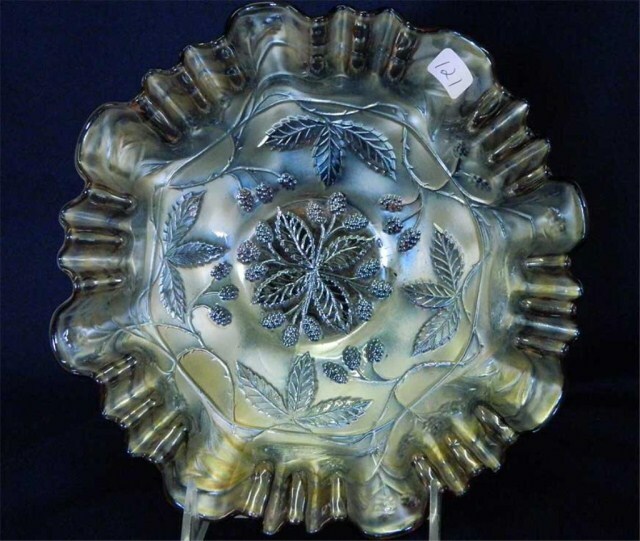 Maday & Sons” molded into the bottom of the base. 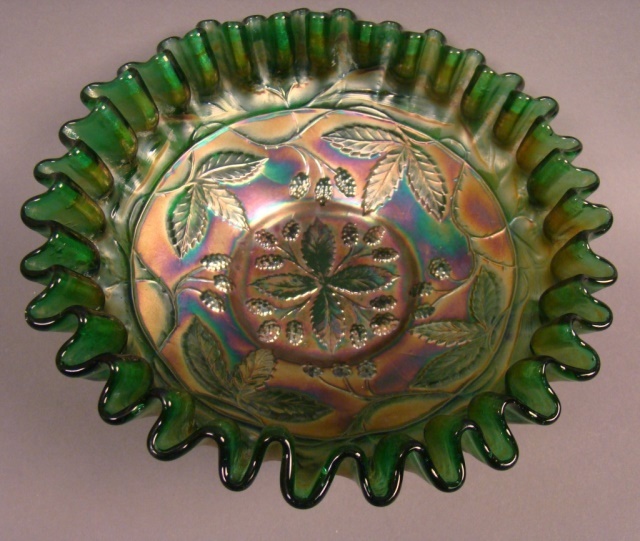 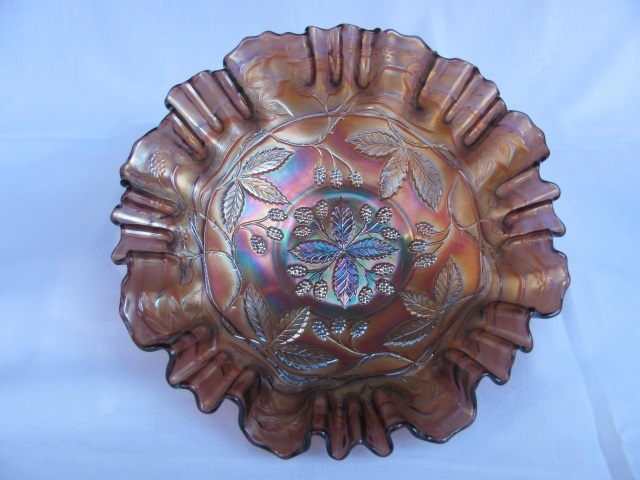 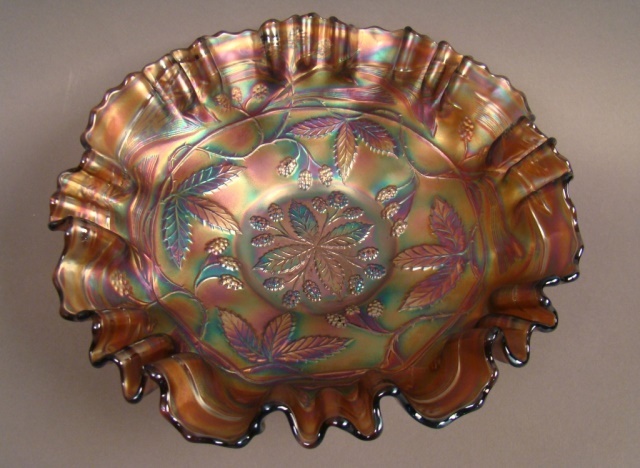 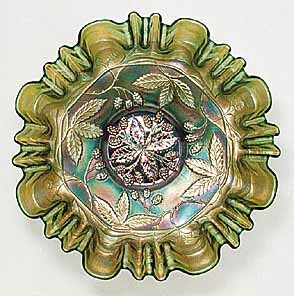 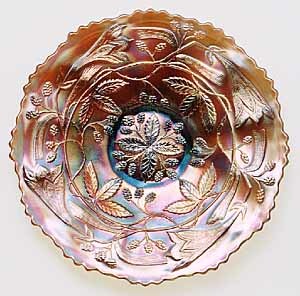 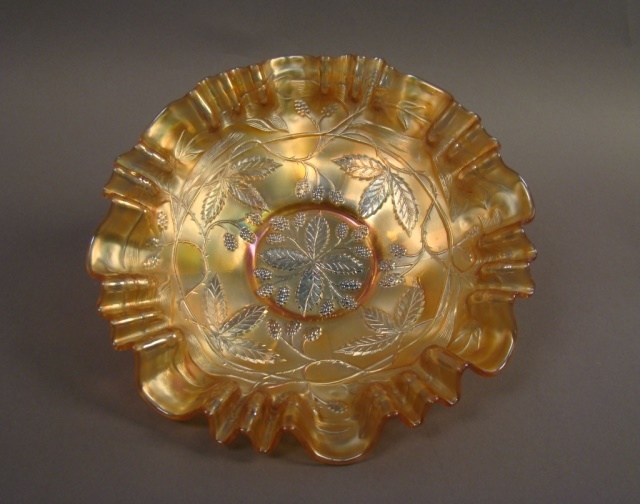 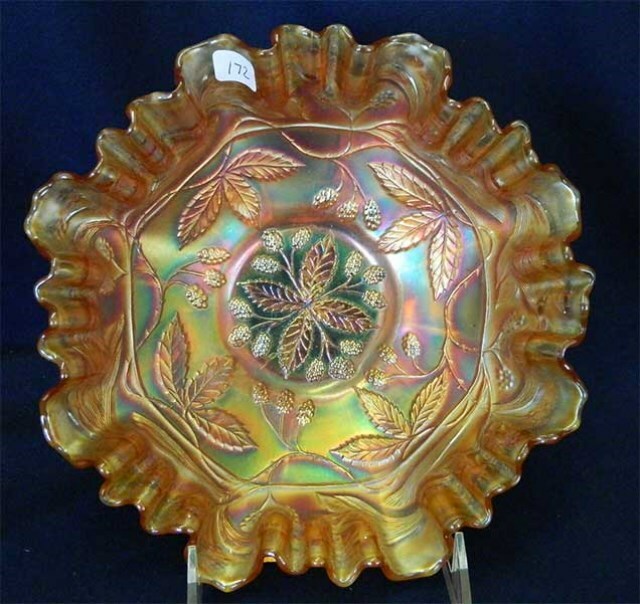 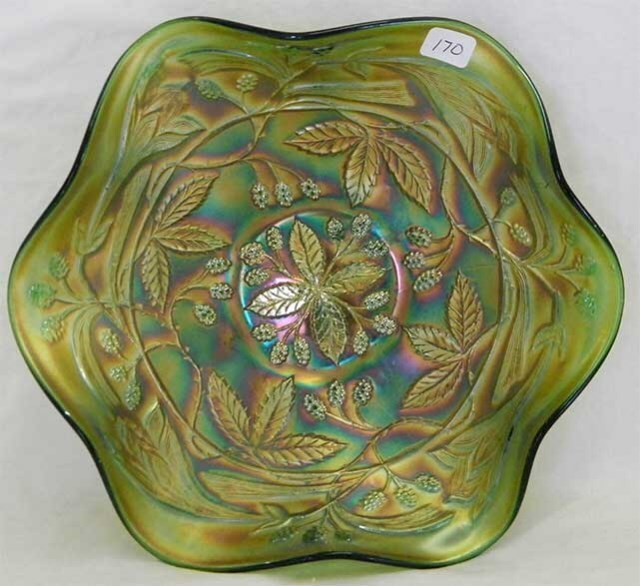 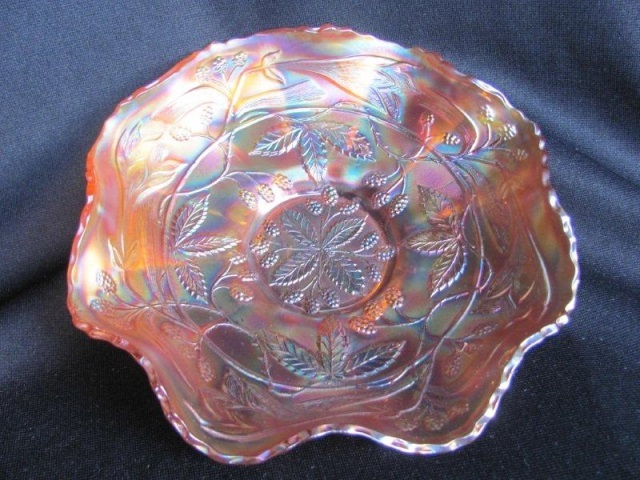 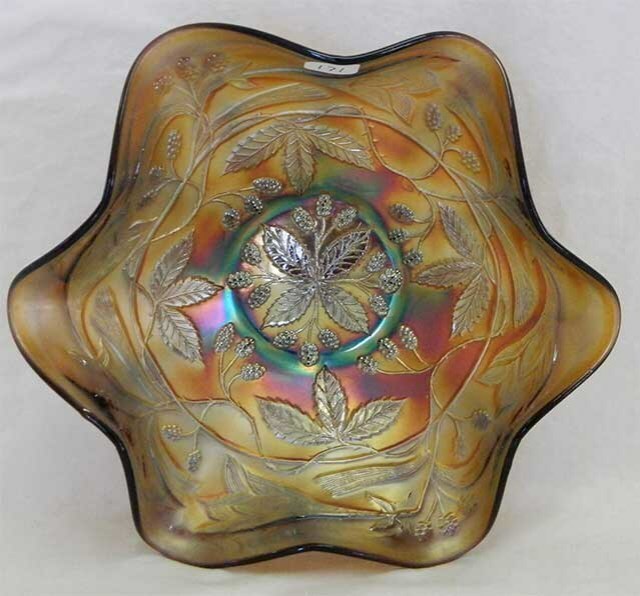 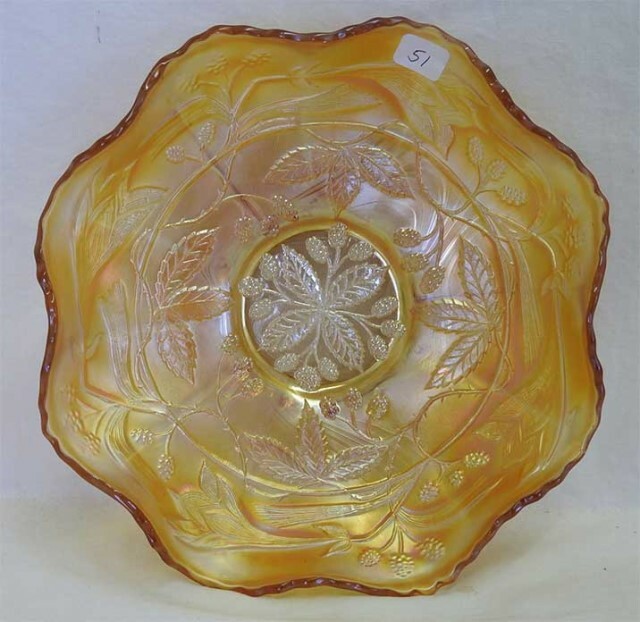 Although similarly named, this pattern is quite different from Fenton's and Northwood's Raspberry or Blackberry patterns. 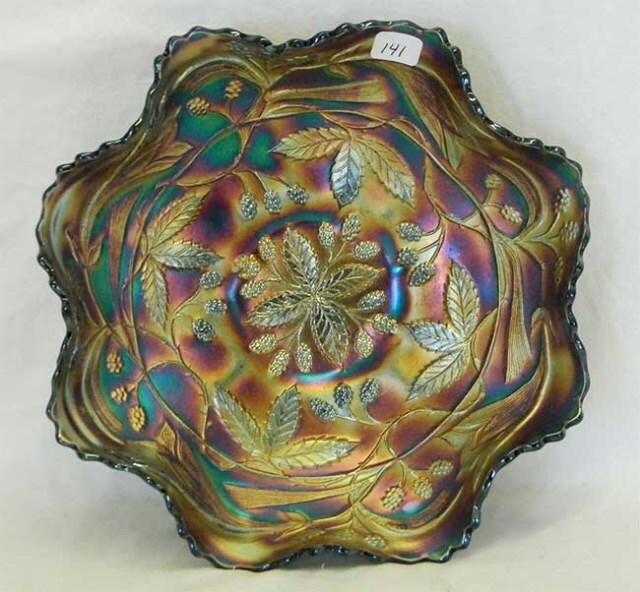 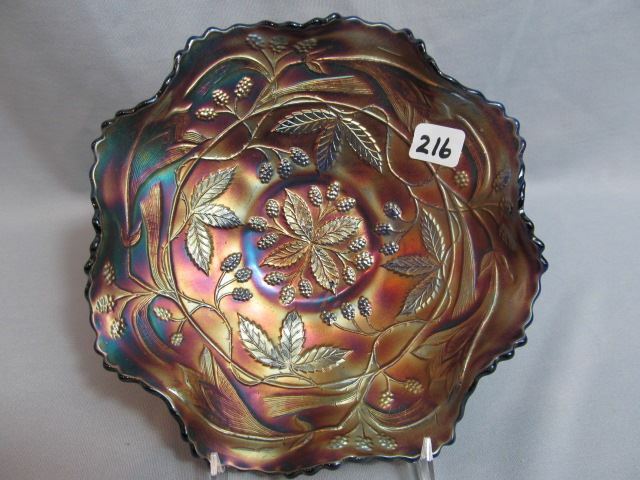 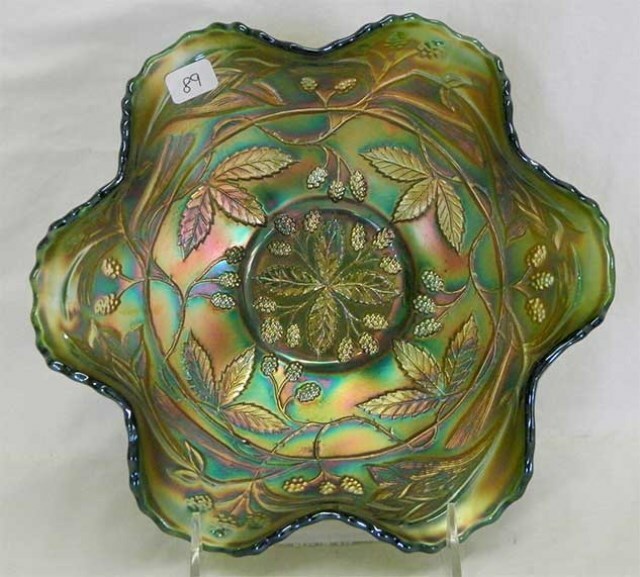 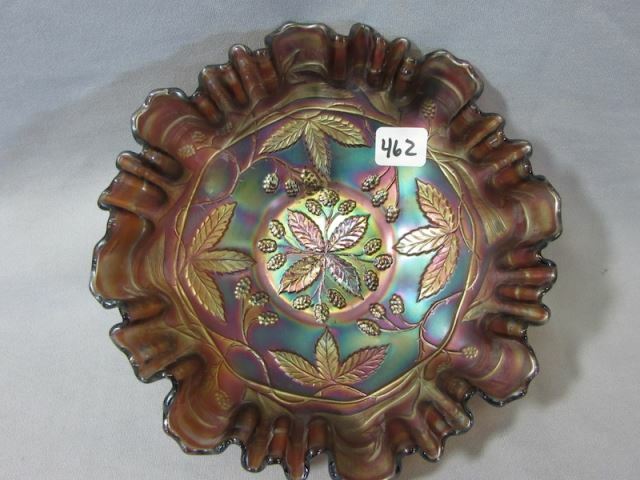 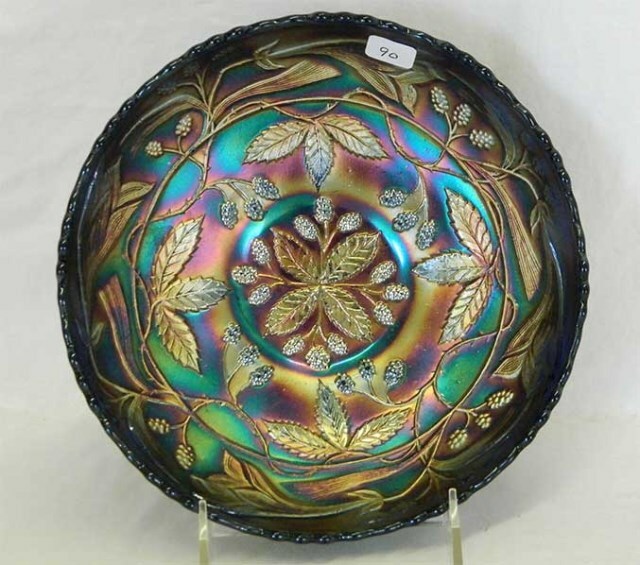 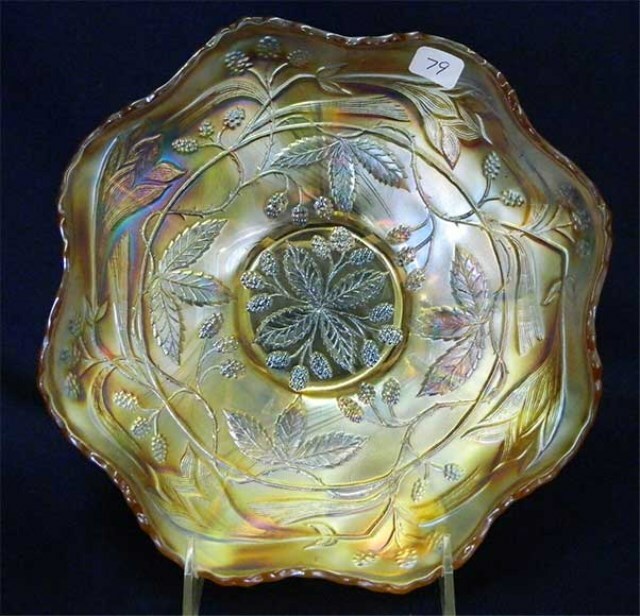 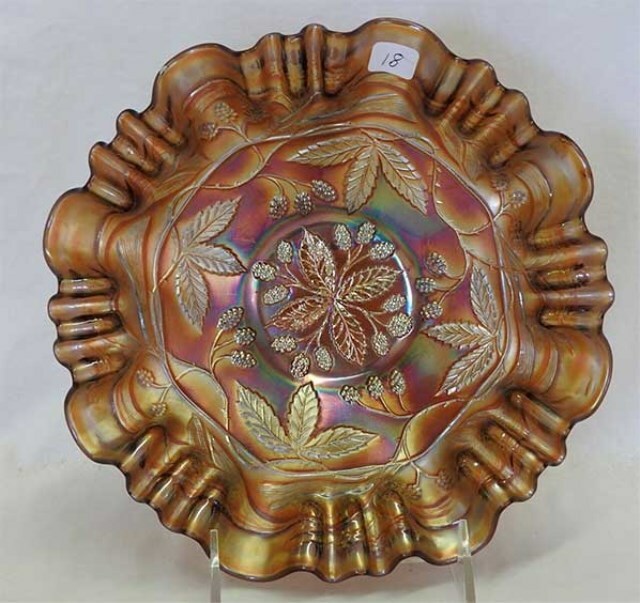 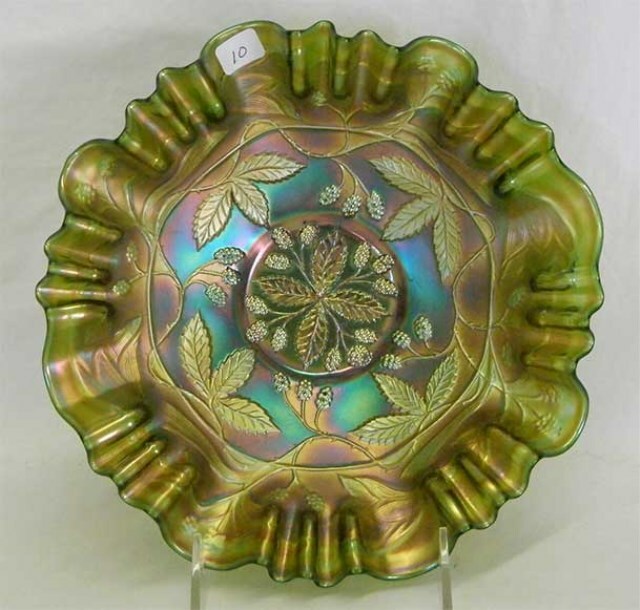 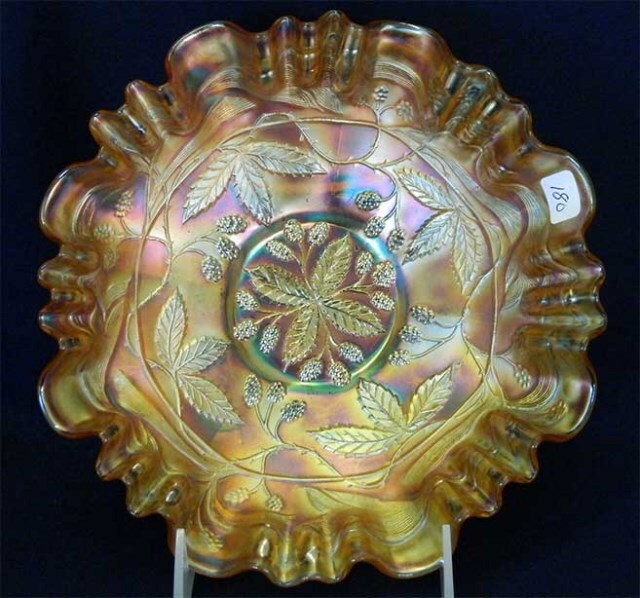 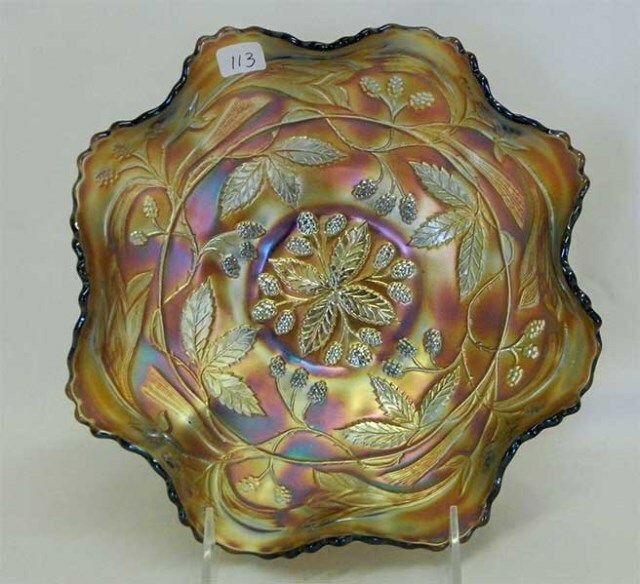 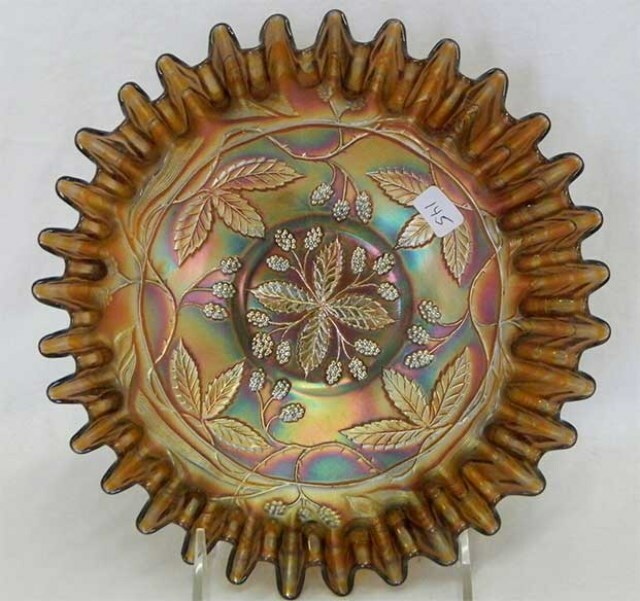 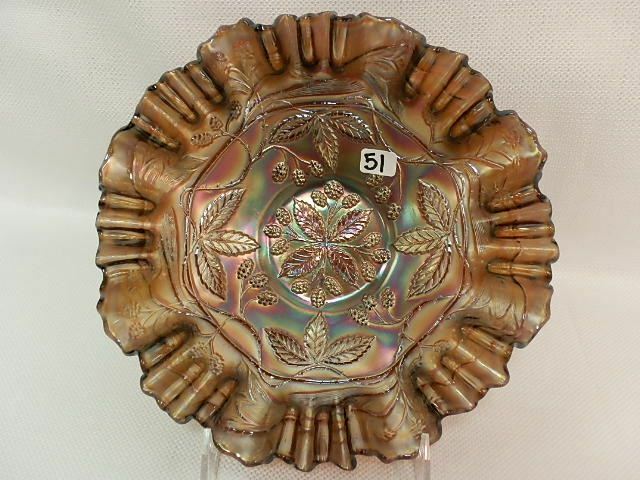 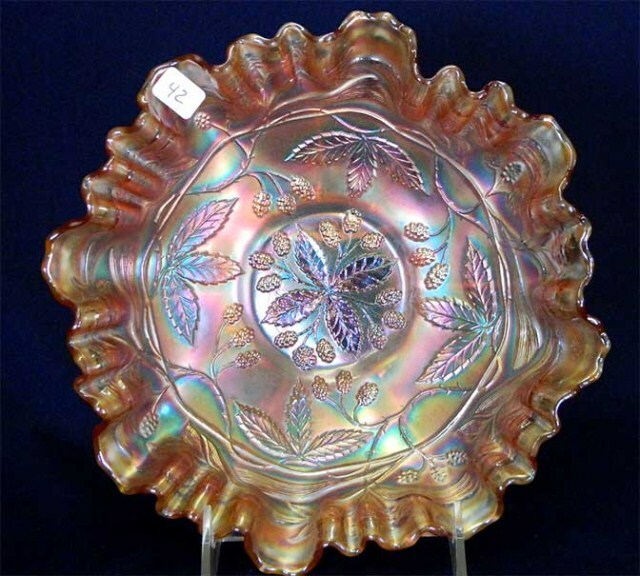 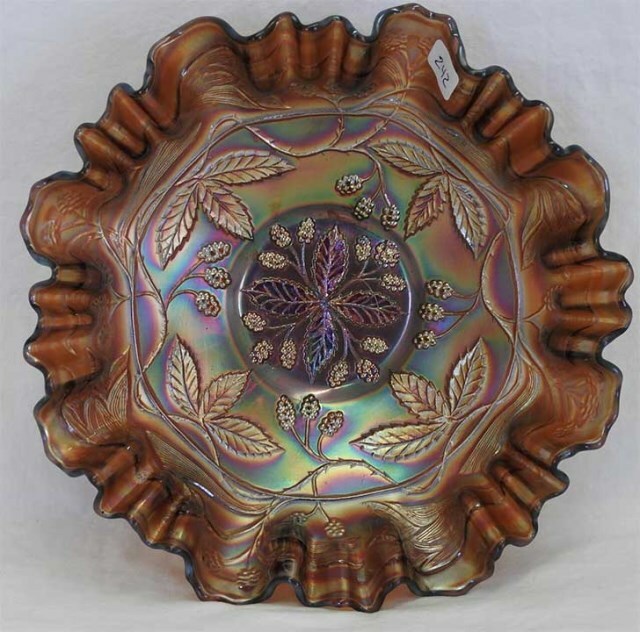 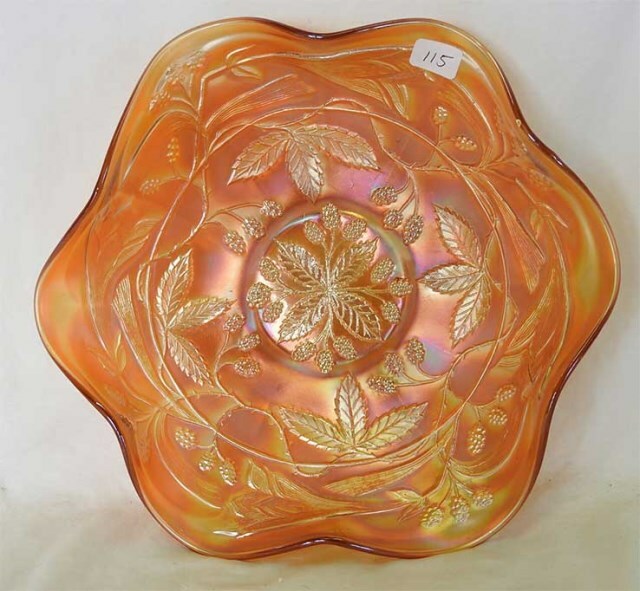 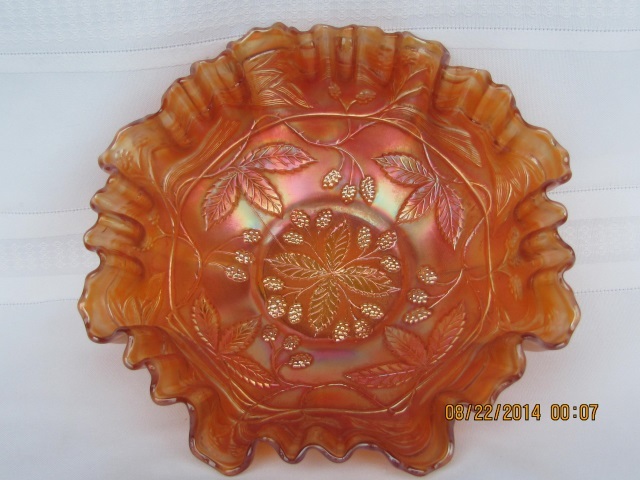 The plate shown on the left is the only one known in amethyst and sold at a 1999 auction for $8,500. 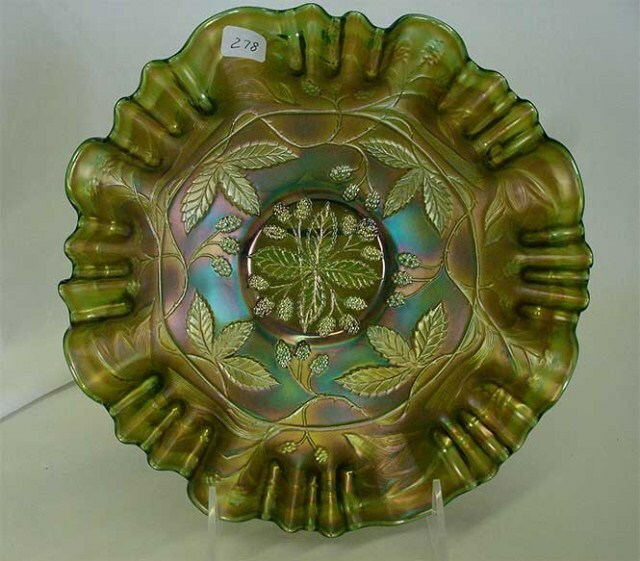 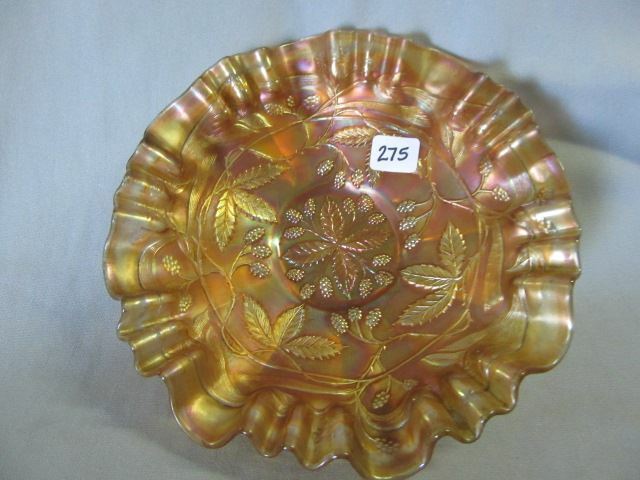 Some of the bowl have the H. Maday & Co 1910 advertising on the base.